NATIONAL University has accepted the resignation of Eric Altamirano as head coach of the Bulldogs, athletic director Chito Loyzaga confirmed on Wednesday. Loyzaga thanked Altamirano for his contributions to the Bulldogs, a team he turned into a perennial championship contender in his time in charge which was highlighted by the 2014 UAAP championship - the school's first in 60 years. “The management has already accepted the resignation of coach Eric. On behalf of NU, we would like to thank coach Eric for his contributions to the NU community particularly the championship that he spearheaded," said Loyzaga. “It was a championship that NU got after 60 years. It was memorable for the NU community. We are thankful,” Loyzaga, a former PBA player, added. Altamirano submitted his resignation at the end of a campaign that saw the Bulldogs miss out on a Final Four appearance after compiling a 5-9 win-loss record. Loyzaga said NU now begins the process of looking for a new head coach. “Management will start the process. 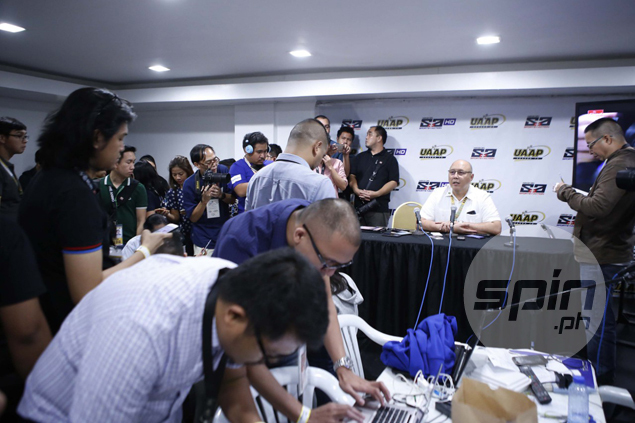 We are inviting interested parties who would want to apply for the position as head coach of National U to submit their resume at the athletics office of NU,” said Loyzaga. “We are going to use the holidays to evaluate everyone. Once we have received all applications, we would perhaps come up with a short list,” he said.